When it comes to adding a performance tier between compute and file storage, Avere Systems has led the way with its high-performance caching appliance known as the Avere FXT Edge Filer. 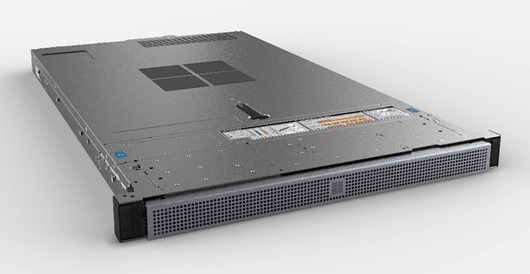 This week at NAB, attendees will get a first look at the new Azure FXT Edge Filer, now with even more performance, memory, SSD, and support for Azure Blob. Since Microsoft’s acquisition of Avere last March, we’ve been working to provide an exciting combination of performance and efficiency to support hybrid storage architectures with the Avere appliance technology. Active Archives in Azure Blob – When Azure Blob is a target storage location for aging, but not yet cold data, the Azure FXT Edge Filer accelerates access to files by creating an on-premises cache of active data. WAN Caching – Latency across wide area networks (WANs) can slow productivity. The Azure FXT Edge Filer caches active data closest to the users and hides that latency as they reach for data stored in data centers or colos. Remote office engineers, artists, and other power users achieve fast access to files they need, and meanwhile backup, mirroring, and other data protection activities run seamlessly in the core data center. NAS Optimization – Many high-performance computing environments have large NetApp or Dell EMC Isilon network-attached storage (NAS) arrays. When demand is at its peak, these storage systems can become bottlenecks. 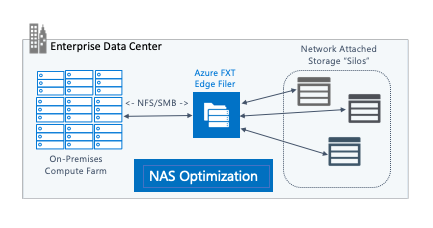 The Azure FXT Edge Filer optimizes these NAS systems by caching data closest to the compute, separating performance from capacity and better delivering both. When datasets are large, hybrid file-storage caching provides performance and flexibility that are needed to keep core operations productive. We are currently previewing the FXT 6600 model at customer sites, with a second FXT 6400 model becoming available with general availability. The FXT 6600 is an impressive top-end model with 40 percent more read performance and double the memory of the FXT 5850. The FXT 6400 is a great mid-range model for customers who don’t need as much memory and SSD capacity or are looking to upgrade FXT 5600 and FXT 5400 models at an affordable price. The Azure FXT Edge Filer is a combination of hardware provided by Dell EMC and software provided by Microsoft. For ease, a complete solution will be delivered to customers as a software-plus-hardware appliance through a system integrator. If you are interested in learning more about adding the Azure FXT Edge Filer to your on-premises infrastructure or about upgrading existing Avere hardware, you can reach out to the team now. Otherwise, watch for update on the Azure FXT Edge Filer homepage. High-performance file access for render farms and artists is key to meeting important deadlines and building efficiencies into post-production pipelines. At NAB 2019 in Las Vegas, visit the Microsoft Azure booth #SL6716 to learn more about the new Azure FXT Edge Filer for rendering. You’ll find technology experts, presentations, and support materials to help you render faster with Azure. Visit the Azure FXT Edge Filer homepage. Get started by reading the Azure FXT documentation. Lear more about Avere vFXT for Azure.